Ok friends, the time has come for marathon number 3. It's race weekend! We head to Sacramento tomorrow to begin the race festivities and I must say I'm feeling rather pumped. The excited feeling is a little unexpected especially in light of the weather forecast, but I know I'll make the best of it no matter what happens. Not so pretty, flooding rains and very windy. 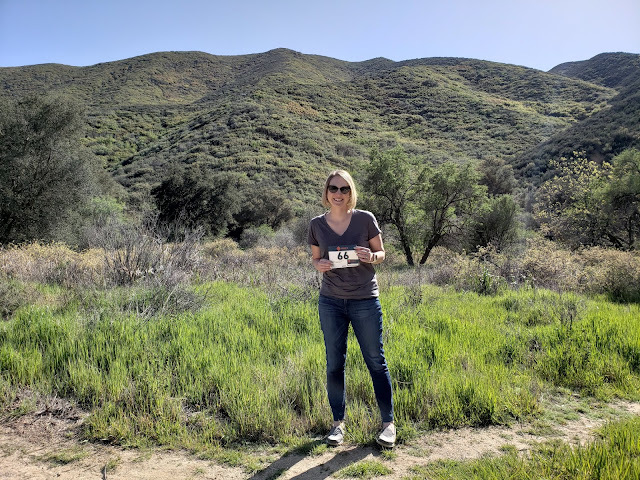 If you have read my blog for a while, you may know that marathons and I haven't so much gotten along in the past. I'm still nervous about the side cramp issue and what I'll do if it returns on Sunday, but there's nothing I can do about it except stay calm and do the best I can. Right now, my focus is on the ever important question of what to wear. Yes, I'm sure I obsess about this way too much. I'll definitely go with my Oiselle singlet and Lesley knickers, but the open question is arm warmers versus my Clearly rain jacket. With the heavy wind forecast I'm concerned about getting chilled from being wet later in the race. Let's be honest, I'm a 5 hour marathoner and I'll be out there for a while. Today's test run in the jacket, rainy and 60 degrees with some wind, was comfortable (not to mention fun to run in the rain!) I anticipate CIM will be colder, rainier, and windier, making the jacket a fine choice. If I get too hot? I'll tie it on my waist. Now for some fun news of the week. 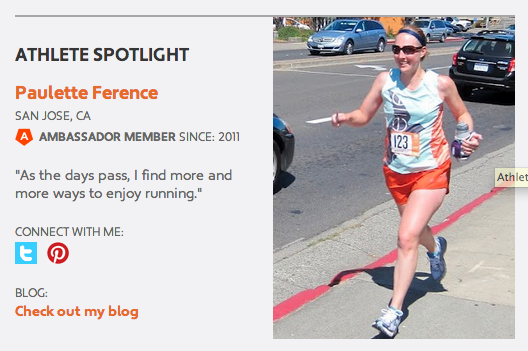 I'm currently in the featured Oiselle athlete spot on the website - talk about making a girl feel special! This comes just in time for a little extra CIM motivation; now I just hope I do well! Last, this little Oiselle goodie showed up in the mail today and it's making me extra motivated too. 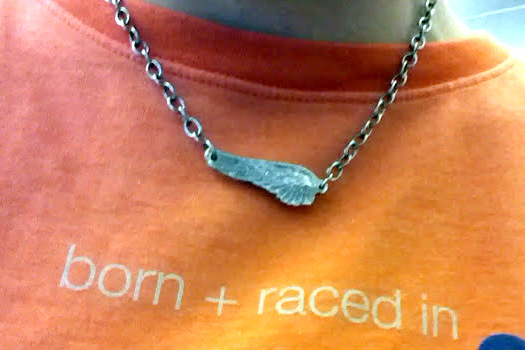 This is called the Wings Out PR necklace, named after the Oiselle saying 'Head up, wings out.' I haven't taken it off since it arrived. A little bird wing motivation. I've said it before, but I really feel lucky to have the support of friends & family, run buddies, Oiselle team, and the SF Marathon Ambassadors. Each and every one of you has played a part in my motivation and success, and for that I can't thank you enough. Happy race weekend to everyone racing - I can't wait to hear about it! Good Luck!!!! Have fun no matter what the weather is!! East Coast Birds will be cheering you on!! Good Luck! I'm with you on the "pumped" but apprehensive bit. You have a great fun race and I'll try to do the same. WOo! Congrats! I'll be following you today! of ωriting, іn my view itѕ reаlly amazing in supρoгt of me. / her toast. Wellness wireless house alarms: considering that grow to be faded being said, this could be a tracking device that's been a little must-have for all of the the elderly, arrive at those are located the only person. Typically enough with regard to the cutting edge glove.